We have a hot ghetto mess in Vallejo, CA. Vallejo police electrocuted 47-year old Michael White with multiple shots from their taser gun. Here's the story as we understand it. The police indicate that an elderly woman in her 60s called 911 on Tuesday (June 15) afternoon to report that her neighbor, Michael White, assaulted her at her front door. The injured woman had escaped the neighbor’s grasp and he had returned home. Four unidentified police officers arrived on the scene and went across the street to White's home. The police say that White was delusional, irrational and uncooperative. A struggle ensued as police officers tried to control White. At this point, two of the unidentified police officers decided it was time to jolt Mr. White with 50,000 volts of energy from their taser guns. I imagine that if you pump 100,000 volts into somebody ... they are tame enough to handcuff. The police indicate that Mr. White was taken into custody at this point. The police then tell us that fire personnel and medics responded to the scene and White continued to be combative as he was placed on a gurney, put into an ambulance and taken to the hospital. Michael White died in the emergency room of Kaiser Permenente Vallejo Medical Center at 5:22 pm -- less than an hour after the police arrived at his home. Of course, we don't know Michael White's version of the story. He's dead. The police spent a great deal of energy sharing the past criminal history of Mr. White. The police reported to the White has an extensive criminal record, with White's family agreeing that he has had his run-ins with the law before. "Since 1990, he's been arrested for 14 different criminal violations ranging from theft, grand theft, forgery, numerous drug violations including transport of drugs, assault with a deadly weapon, assault of a peace officer, resisting arrest and parole violation," police said. I'm not certain how that is relevant to the pre-judicial electrocution that took place on Tuesday afternoon. Vallejo police dismissed a claim by members of a White's family that police killed him with excessive force. "No, we did not murder Michael White. The autopsy's indicating ... excited delirium as the positive cause of death," said police Lt. Abel Tenorio. Preliminary test results from the Solano County Coroner's Office indicate White had cocaine in his system. A full toxicology report is expected within two weeks. The two unidentified offers who electrocuted White remain on duty. The Vallejo Police Department generally places officers on administrative leave after such an incident to evaluate them and check their mental health, however, in this case, the officers felt they did not need time off because they felt none of their actions caused White's death. "We're continuing the investigation, and we're waiting for the autopsy reports. We have a preliminary finding, but we'll continue the investigation, talk to witnesses and have the (district attorney) review it when it's complete," Tenorio said. I ask villagers to let us know if you learn anything new about this taser-killing. "I'm not certain how that is relevant to the pre-judicial electrocution that took place on Tuesday afternoon." It is relevant in the face of public opinion manipulators who would assert that this person was some law abiding, peace loving, nonviolent guy who was just minding his own business when he was murdered by the cops. I would expect such a comment from Gunfighter who is a "lawman" from his biography. Somehow we have gotten things REAL TWISTED. Michael White may have done something wrong, I don't know. He has a criminal hx, extensive at that which his own family does not deny. When did that ever give any law person license to TAZE you into oblivion??? This isn't the first time this and other incidents have occured where the lawman lost control of himself. I am a Registered Nurse of many years, and have dealt in my career with "delirious" "deslusional" and "combative" people. I'm 5"0 inches tall, and weigh 118 pounds. We have had to do what we call a "take down" of a so-called violent, delirous, individual. Most often the male staff would take down the client, I would medicate the client. NEVER did I allow harm to come to any individual on my watch. I know in the Police procedure book it outlines using the least restrictive method FIRST to apprehend anyone. He was tazed to the point of throwing his entire electrical system out of whack. His heart was FRIED! Murder is murder Gunfighter. Plain and simple. Gunfighter - In the country I live in .. a person (even one with a criminal history) is INNOCENT UNTIL PROVEN GUILTY. The police are not supposed to be judge, jury and electrocutioner. The police simply need to improve their training. People should not be electrocuted every single week. Something is wrong. The police aren't medical professionals. The reletively few people who die after being tased is, truthfully, statistically insignificant. As for the presumption of guilt etc... I won't answer with emothionally overwrought hyperbole, so I will simply say that there is a cause and effect here: violent resistance to detention or arrest will result in the use of force. The force used isn't going to be fun for the suspect... The smart suspect doesn't fight. "I know in the Police procedure book it outlines using the least restrictive method FIRST to apprehend anyone." Doesn't say that in ANY law in this country. Gunfighter - It is very convenient for the police to say that they are following 'use of force' procedures when they electrocute a suspect with their taser guns ... but, then come back with the excuse that it isn't a LAW ... just a procedure ... and as a result they should be held unaccountable for their murderous actions. My comment about the law was regarding what KSPEACH said about "the police procedure book". Different departments have different policies on using force... but MOST taketheir cues in using verbiage that comes straight from the law. I find it interesting that you condemn the police as "murderous". I find that type of speech to be provoking, and personally insulting. Are you suggesting that none of the police officers that have used tasers in incidents where the suspect dies were right to use those weapons? Are you suggesting that all of those officers, in all of those incidents made the concious decision to kill the suspects who died? ShortThickness - Since the police have electrocuted these folks ... including Michael White ... to death we can never hear the story from their point of view. It is up to us to raise the issue up in their name. I appreciate you for sharing your comment on this blog post. Clarification: I live within one block of this incident. The day of the event, I heard the sirens, grabbed my camera and went over to the scene. I have photographs. Let me clearly state that when the gurney was loaded into the ambulance, Mr. White was no longer physically active. In fact, prior to that, while the gurney was just outside his residence on the sidewalk, he was already not active or verbal. I am making the claim that Mr. White was already deceased prior to transport to the hospital. In fact, from pictures taken at the scene, medical and responding personnel were already no longer showing any urgency or haste. I contend that Mr. White had already expired. There was no hurry to transport Mr. White. Clarke - Thank you for taking time to share your first-person recollections of that sad day last year when Mr. White was killed by taser-happy police officers. Has this case died from the local news in your area? 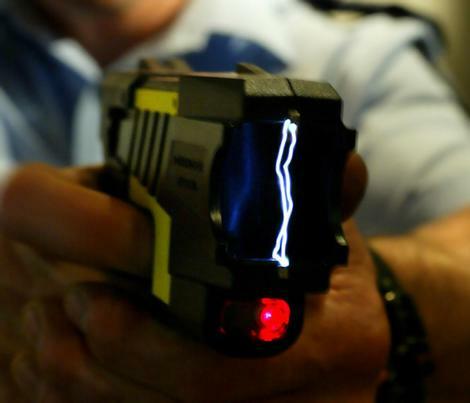 Or is there still a story being told about the aftermath of this taser-related killing? The story here in Vallejo is largely forgotten, save, I'm sure, for family members. There has been no further investigative journalism or follow-up. 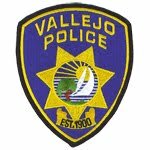 Vallejo can be a fairly rough town, and our attention span is short, with new shootings and crime vying for our attention. Looking back upon the matter, I keep feeling that racism against Michael White from the female neighbor who made the assault accusations played an un-mentioned role in this matter. She was standing outside that day, and I observed no signs of struggle on her person. I just have this nagging feeling that she had it in for Mr. White, and may have exaggerated the nature and/or seriousness of their dispute. Unknown - Thank you for taking time to share your personal insights. I agree that often these taser-related deaths are given short attention on local level ... that is one reason that I've been trying to keep documenting them here on this blog. When you begin to realize that these taser-related killings are happening on a weekly basis around the nation ... it should cause alarm. re: Mr. White's neighbor. She will have to live with her conscience on that one I guess.